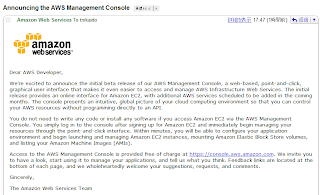 * Monitoring, Load Balancing and Auto-scaling - View real-time monitoring of operational metrics within Amazon EC2, configure load balancing and auto-scaling rules through a web-based UI. * Amazon S3 Support - Create and delete Amazon S3 buckets, upload and download objects through your browser, edit permissions, set log data, and manage URLs. * CloudFront Support - Setup and administer content delivery distributions on Amazon CloudFront using a simple web-based tool on the AWS Management Console.